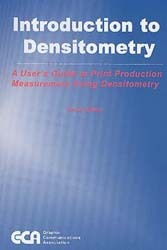 This book explains the basics of densitometry, offers tips on using densitometers, and discusses standards and verifying conformance to standards. About the Author: Peter Brehm serves as president and CEO of the North American Graphic Arts Suppliers Association (NAGASA), the distribution association for printing and imaging technologies. Prior to joining NAGASA he was director of Quality Assurance and Training for TC Advertising, a leading marketer and producer of advertising products and services for retailers, advertisers, newspapers, and publishers. Prior to joining TC Advertising, Brehm spent ten years serving in technical and management roles with the Graphic Communications Association (GCA), a national affiliate of the Printing Industries of America (PIA). He ended his tenure at GCA as vice president/printing technologies. Brehm was graduated with a B.A. in American Studies from the University of Virginia. He attended graduate school in printing technologies at the Rochester Institute of Technology’s School of Printing.